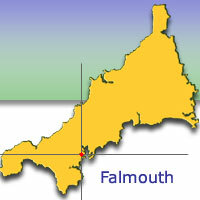 Falmouth provides an ideal base from which to explore the nearby towns and villages and indeed the county of Cornwall. Sightseeing in the Falmouth area could not be easier - climb aboard one of the many pleasure boats and passenger ferries which ply the local waters to St. Mawes, Flushing, Smugglers Cottage at Tolverne, Truro and the Helford Passage. For those who like terra firma an open top bus travels continuously in season linking the town, beaches and castle. From the M5 at Exeter take either the A38 via Plymouth or the A30 over Bodmin Moor. Join the A390 from Plymouth and where signposted for both routes join the A39. Follow signs to Truro and remain on the A39 to Falmouth. Daily services from London and Scotland to Penzance. Passengers for Falmouth should change at Truro taking the branch line to Falmouth. Further information can be obtained from National Rail Enquiry Line 0845 7484950 or Newell's Travel, Killigrew Street 01326 315066. First Devon & Cornwall 0870 6082608 and Truronian 01872 273453 operate local bus services from The Moor where timetables are available or enquire at the Tourist Information Centre 01326 312300. National Express operates a daily service from London's Victoria Coach Station to Falmouth. Telephone 08705 808080 or www.nationalexpress.com for bookings and timetables. 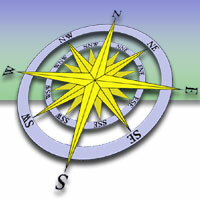 For daily excursions (May to September) and local travel contact the Tourist Information Centre 01326 312300. Air Southwest 01637 860600, operate a circular route from London (Gatwick) -Newquay -London. Ryan Air 0871 2460000, run a daily flight from London, Stansted to Newquay Airport. The reclamation of land around Falmouth Docks has enabled an international cruise liner terminal to be created, with 38 cruise ships scheduled to visit the town next year. A park and ride scheme operates from June to September from Ponsharden (adjacent to Falmouth Yacht Marina on the A39 approach road to Falmouth). 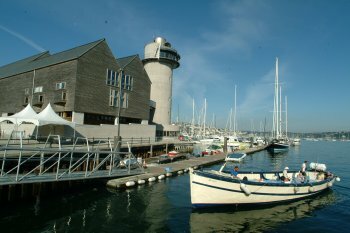 Park in the 480 space car park and catch a restored classic wooden boat to the Prince of Wales Pier in Falmouth's town centre or onto Discovery Quay where the National Maritime Museum is sited. Alternatively, catch a bus, from Ponsharden into Falmouth town centre. Visitors to the Maritime Museum using Ponsharden Park and Float, will receive a discounted museum entry ticket. Call 01326 319417 or 01872 861910 for more details. Ponsharden - wash away the stress of parking and arrive in Falmouth in style! From rugged cliffs and sandy beaches to the unspoilt beauty of the Roseland peninsula, St Mawes Ferry Company can take you on an inspiring trip to the picturesque fishing harbour of St. Mawes. Departs from the Prince of Wales Pier daily, with extended evening service in the summer. Call 01872 861910 for times and prices.